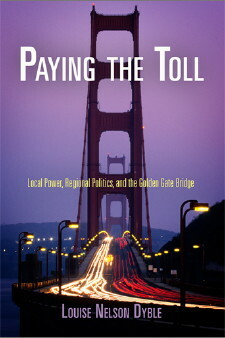 Paying The Toll :: Receives best new book published in the field of public works history! Reviewed on this Coast Road site last year, Louise Nelson Dyble received the Albel Wolman Award for best new book published in the field of public works history! Books must cover one or more of the following topics: Flood Control & Drainage, Irrigation, Waterways, Solid Waste, Planning, Engineering & Administration; Public Buildings; Sewer & Wastewater Treatment; Roads, Streets & Highways; Urban Mass Transportation; Community Water Supply; Military Installations; Airways & Airports; Parks & Recreation; and Energy.